Asha Bhosle says things like ‘Our hearts are very big, we can accommodate everyone’ (it’s a dig at Atif Aslam - that while Pakistan hasn’t exactly gone into doing cartwheels with Indian artists performing there, India has had no such qualms. If you have been tuning into Sur Kshetra, the Indo-Pak music show, that recently went on air on Colors and SaharaOne - then you would have words like fateh, elaan-e-jung, izzat, hamari shaan, jeet hamari hogi etc etc coming out of your ears already. Producer Gajendra Singh is known to go out with his music reality shows. Then there is Himesh Reshammiya, known for his verbal diarrhea - remember mujhe tumhare ghar ki roti chahiye!, a line he had thundered to a shivering contestant in one of the editions of Sa Re Ga Ma, a line that had become so famous that people still spoof it in comedy shows - and a competition that pits Indian singers against their Pakistani counterparts, so it’s nothing short of a war. When it comes to Indo-Pak, tempers flare up, emotions run amok and jingoism is at its best/worst depending on which side of the fence you are sitting. Last but not the least, there is Asha Bhosle who leaves no quote ‘unturned’ to silence her opponents. For eg: she says things like ‘Our hearts are very big, we can accommodate everyone’ (if you read between the lines it’s a dig at Himesh’s Pakistani counterpart, Atif Aslam - that while Pakistan hasn’t exactly done anything about Indian artists performing there, India has had no such qualms). So there you have all the ingredients for a pressure cooker show where tension is in your face and quaking contestants have to win over each other’s hearts and save the pride of their respective countries in a musical battle. The first two episodes had the mentors - Himesh and Atif - shortlisting six contestants out of 10 each they had picked up from auditions. While Alka Yagnik, Suresh Wadkar and Ismail Darbar helped Himesh choose the final six, Ghulam Ali Khan and his son chose the Pakistani singers for Atif. Honestly, none of the singers have made us sit up and go ‘wow’. Worse, a couple of them like Yashraj Kapil (from India) have already tried their luck in other reality shows. Why have auditions when you can just pick up from the same pool of aspiring singers? 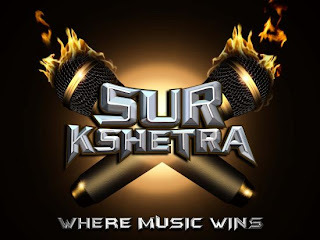 The three esteemed judges and that it’s an Indo-Pak show are the highlights, so if you take out the jingoism and the excessive verbal slugfest, Sur Kshetra is like any other music reality show which is not bad for weekend viewing. And yes, Ayesha Takia could go easy on hershararas and over-enthusiasm. Verdict: If you like music with melodrama then Sur Kshetra is right up your alley.